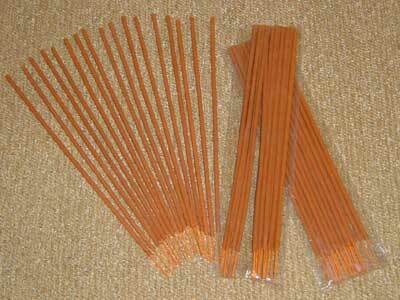 We are involved in Manufacturing and Supplying of highly aromatic Holllow Extruded Incense Sticks on Bamboo. The Holllow Extruded Incense Sticks range is Hydraulic Automatic Machine Made. The Extruded Incense Sticks variety is extensively used in puja offerings and widely preferred by clients for being charcoal free and aromatic.